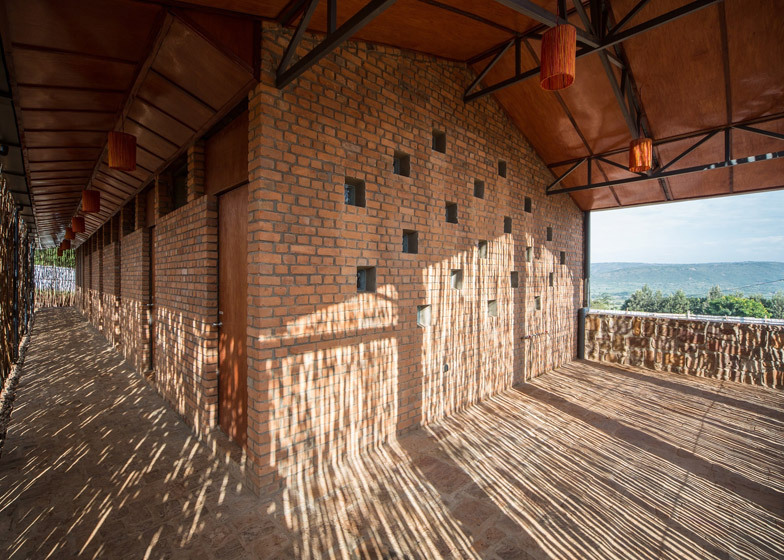 New York architect Sharon Davis has completed a new housing complex for doctors and nurses in a village in rural Rwanda, which was built by local residents using regional materials (+ slideshow). 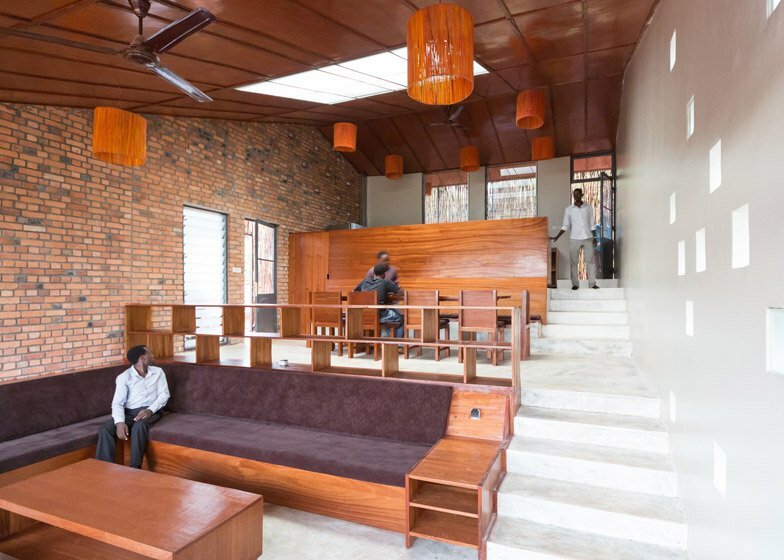 Located next to the 110-bed Rwinkwavu Hospital on a steep hill, the Partners in Health Housing is meant to create a community space for those working in the facility, and ultimately to help improve healthcare standards in an underserved part of the country. 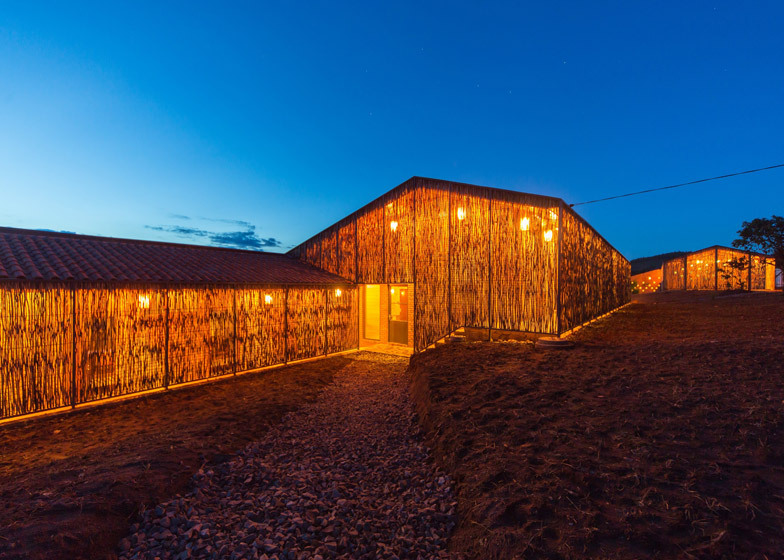 "[The project] is more than a dormitory for doctors and nurses," said Sharon Davis, principal of Sharon Davis Design, which recently completed a playhouse on stilts with an interior slide in upstate New York. 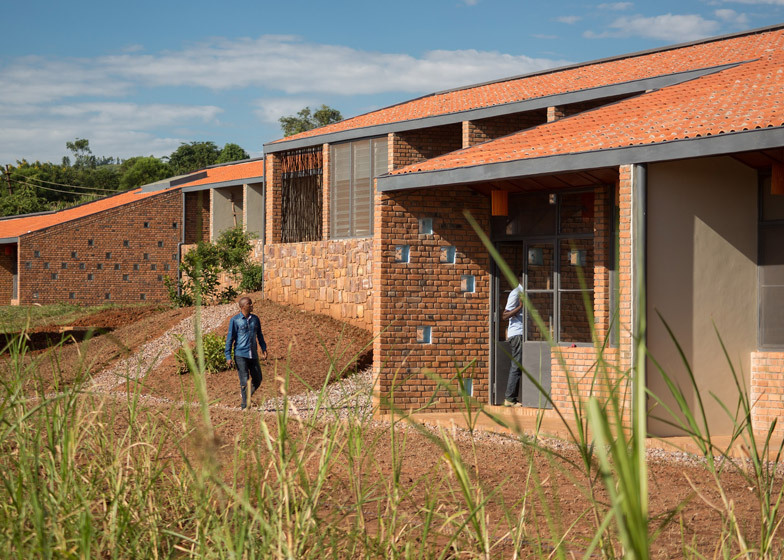 "This project means that staff not only live closer to the hospital – saving time and money – but quality housing near the hospital will boost morale, enhance connections between staff and community and will, we hope, create a village within this village," she added. 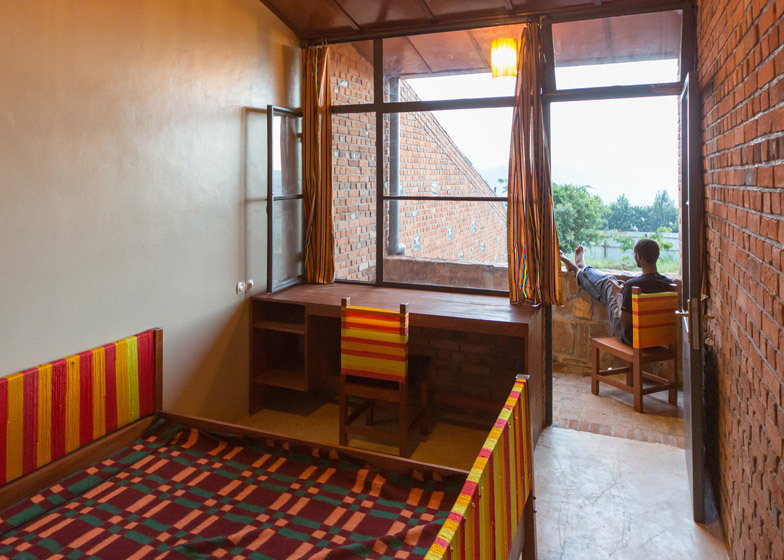 Rwinkwavu is described as one of the poorest areas in Rwanda by local community group Rwanda Vilage Enterprises, which helps build housing for residents and visiting healthcare workers. 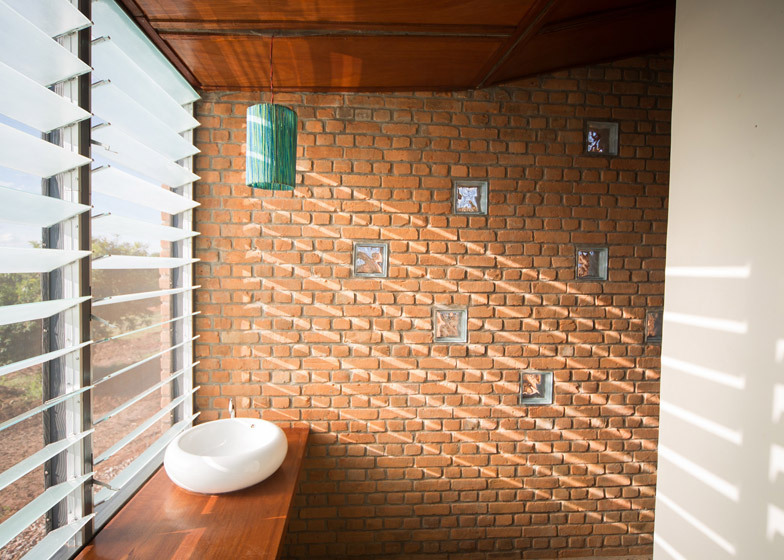 The two-building brick complex accommodates 16 people with room for eight in each shared house. 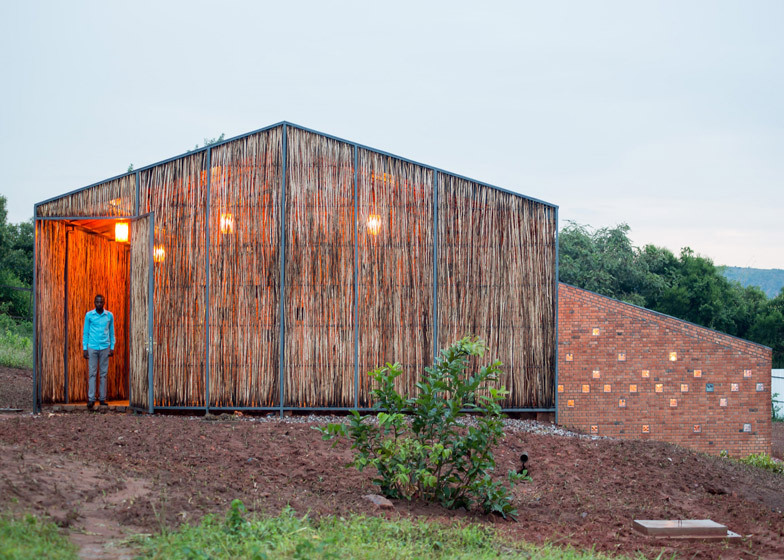 Deep overhangs, cross-ventilation and a tile roof with a cavity help keep the interior cool. Rooms are connected by covered outdoor hallways. 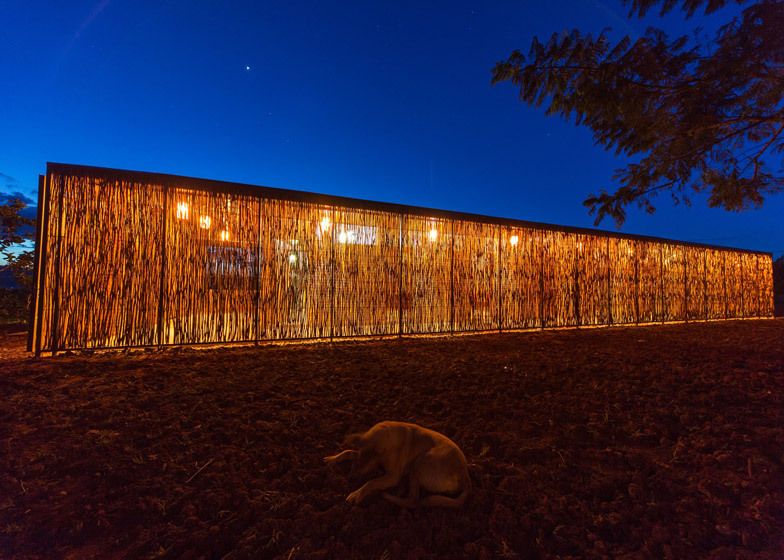 Screens made from strips of eucalyptus wood attached to metal frames wrap around the parts of complex, providing privacy and allowing for shade and air flow while also recalling traditional building techniques. 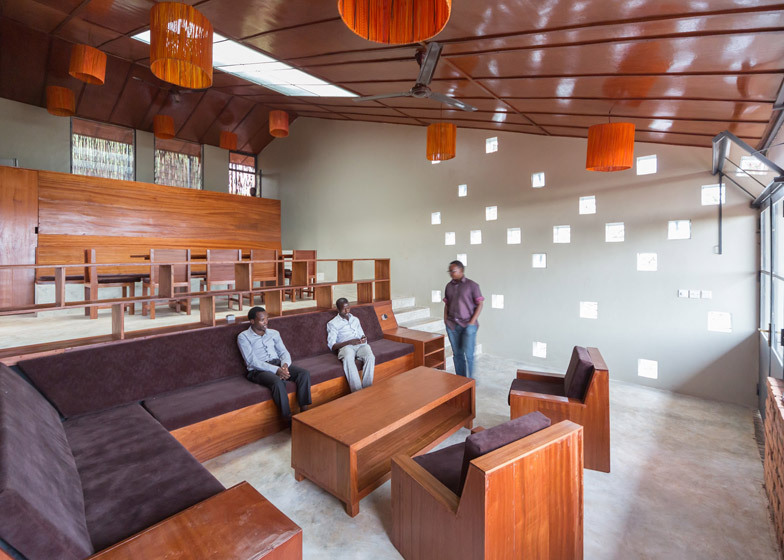 The buildings are situated on a sloping site, and communal areas step down creating several smaller gathering places. 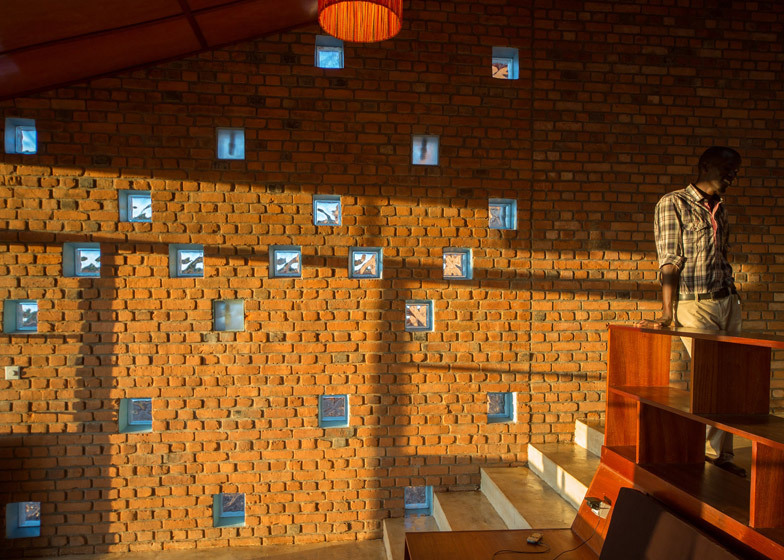 Light streams through staggered glass bricks in the masonry walls. 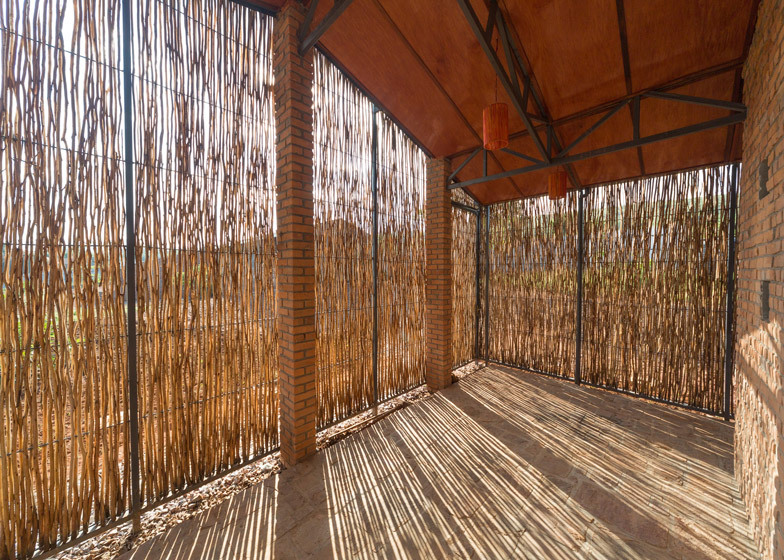 Each bedroom has a covered outdoor terrace, allowing views of the surrounding landscape. 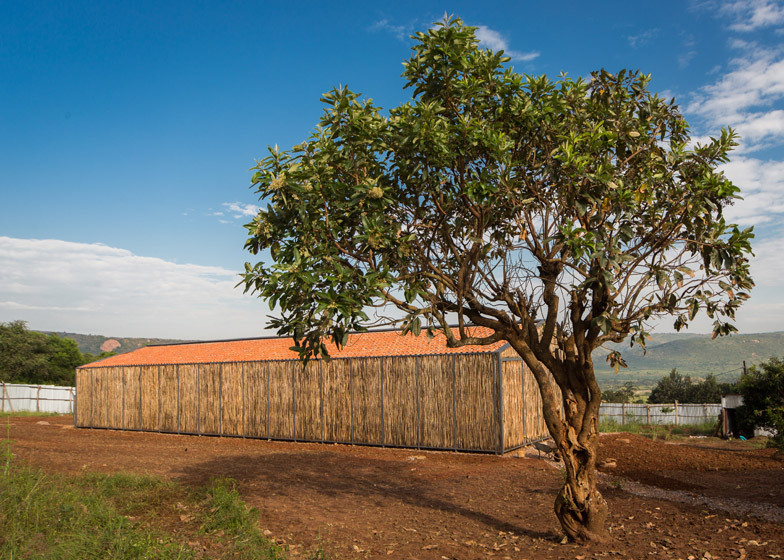 All the building materials were sourced within Rwanda and many came from the immediate area. 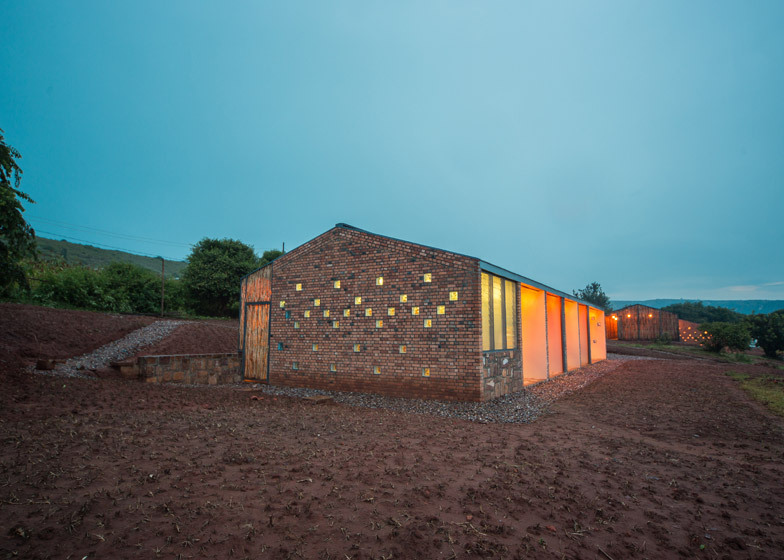 Stones were locally quarried, and a women's collaborative made the handmade bricks. Nearly all of the labour for the project was provided by workers from the nearby village. 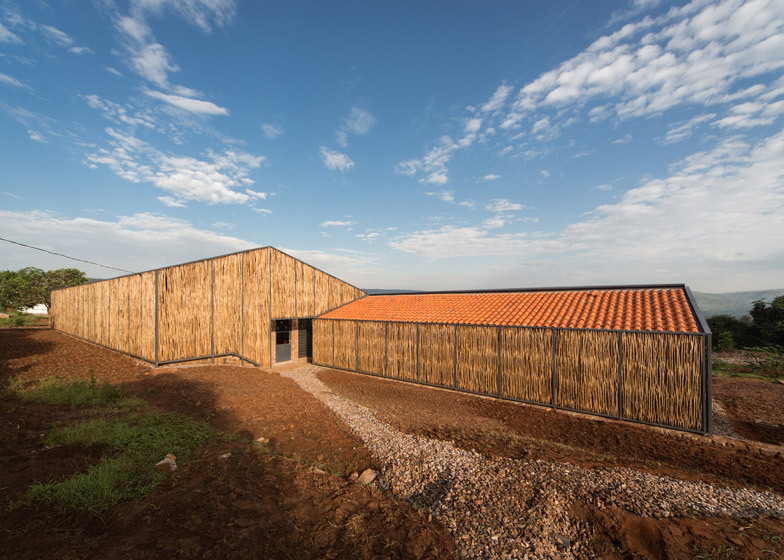 The project is a joint collaboration between Partners in Health – a global organisation that aims to improve the health or poor and marginalised people – Rwanda Village Enterprises, and the Rwandan Ministry of Health. 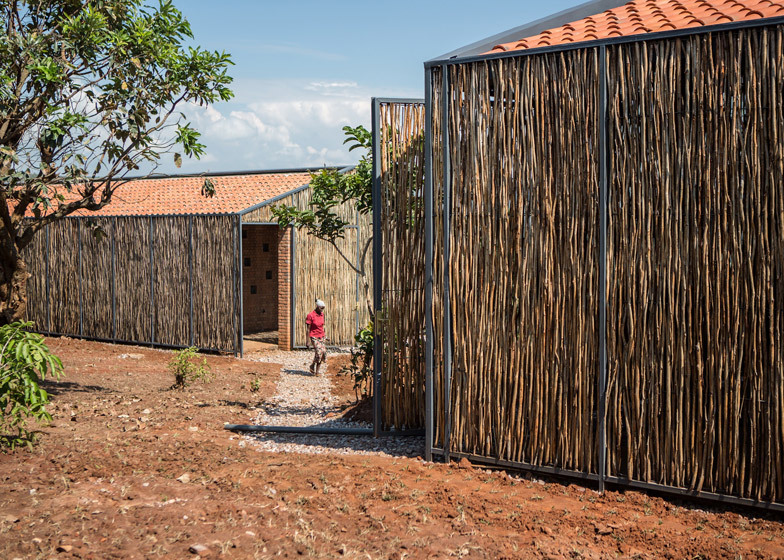 The housing is the second project for Davis in Rwanda. In 2013 she completed the Women's Opportunity Center in Kayonza, a village for vocational training and community development. 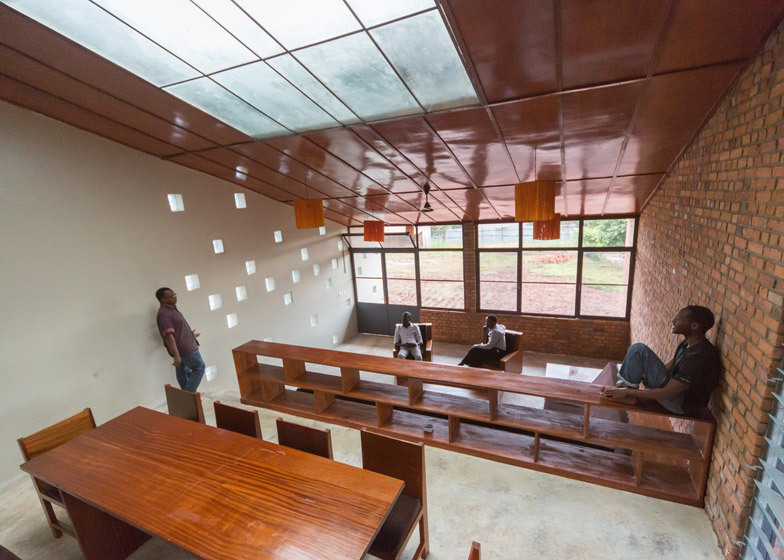 She is currently working on a memorial and education centre dedicated to the Rwandan genocide. 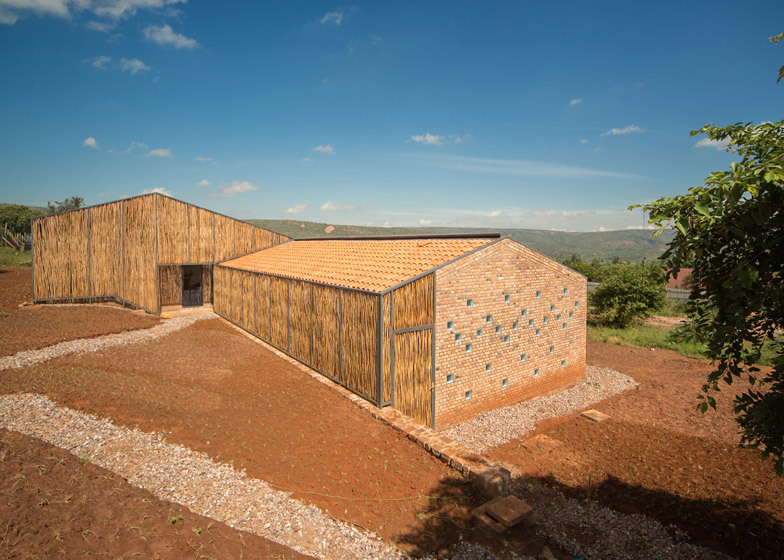 A number of international architects have become involved in healthcare a community projects in Rwanda. 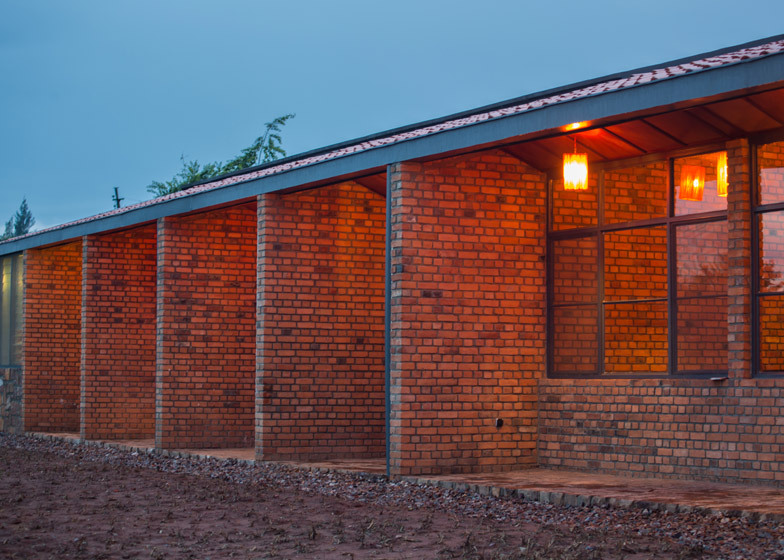 Earlier this week, British architect David Adjaye unveiled plans for a children's cancer care centre in the country, while German office Dominikus Stark Architekten recently completed a brick education centre.